Canadian forward who made his NHL debut with the Toronto Maple Leafs in 2009 after being selected 7th overall in the 2009 draft. He played for the Ontario Hockey League's Kitchener Rangers from 2006 to 2008. He won a World Junior Championship silver medal with Canada's national team in 2010. 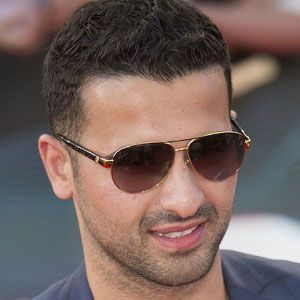 He was born to Sam and Sue Kadri and has four sisters: Yasmine, Sabrine, Rema and Rayanne. He assisted Jordan Eberle's goal during the 2010 World Junior Championship gold medal match.